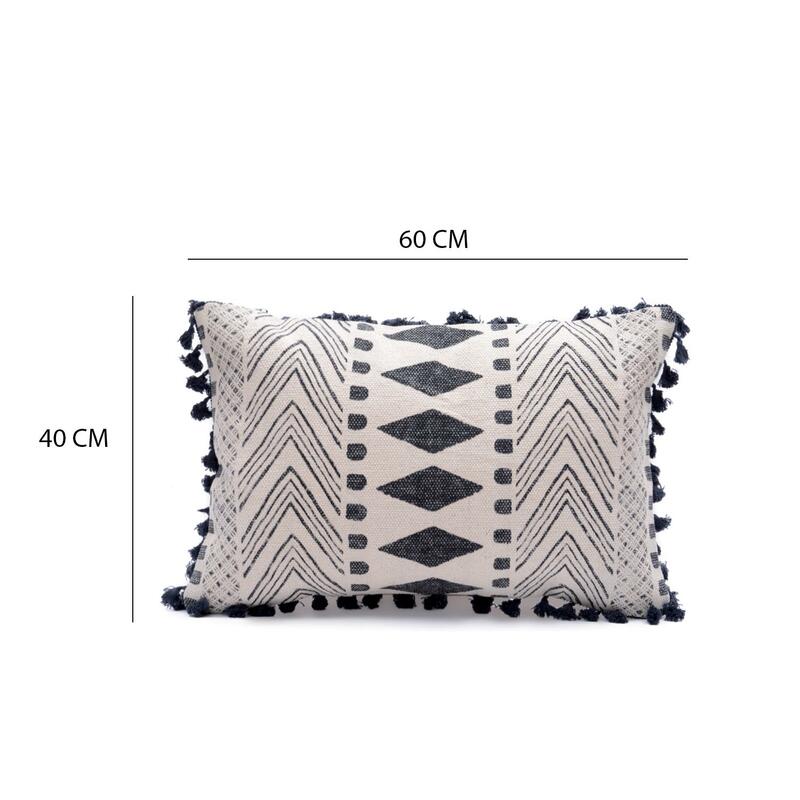 Home / COTTON CUSHION COVER / Cotton Printed Cushion / Decorative Printed Black and White Pillow CoverSize: 16" x 24"
Decorative Printed Black and White Pillow CoverSize: 16" x 24"
Give your home décor an instantaneous update with this printed cotton pillow cover. 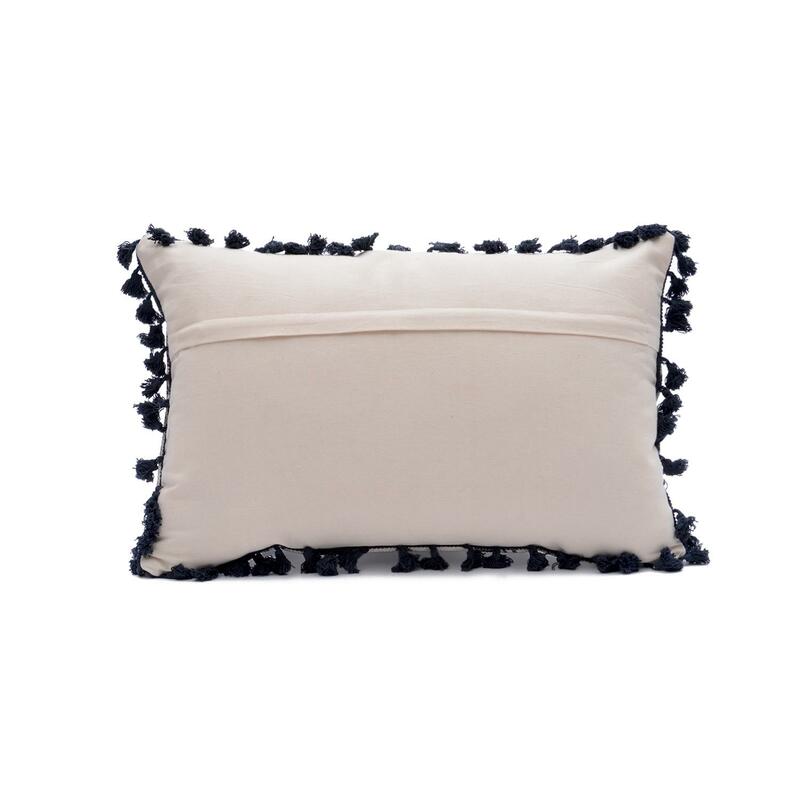 This pillow cover comes with a coordinating pom pom piping around the cover which makes it sophisticated. 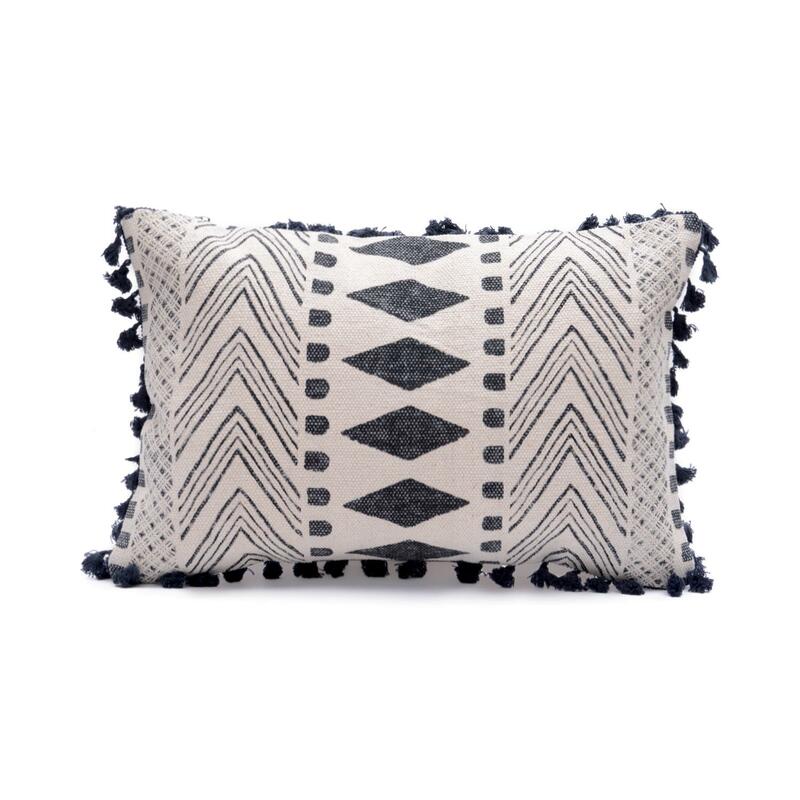 Geometric pattern of this off white pillow cover lighten up your home décor. 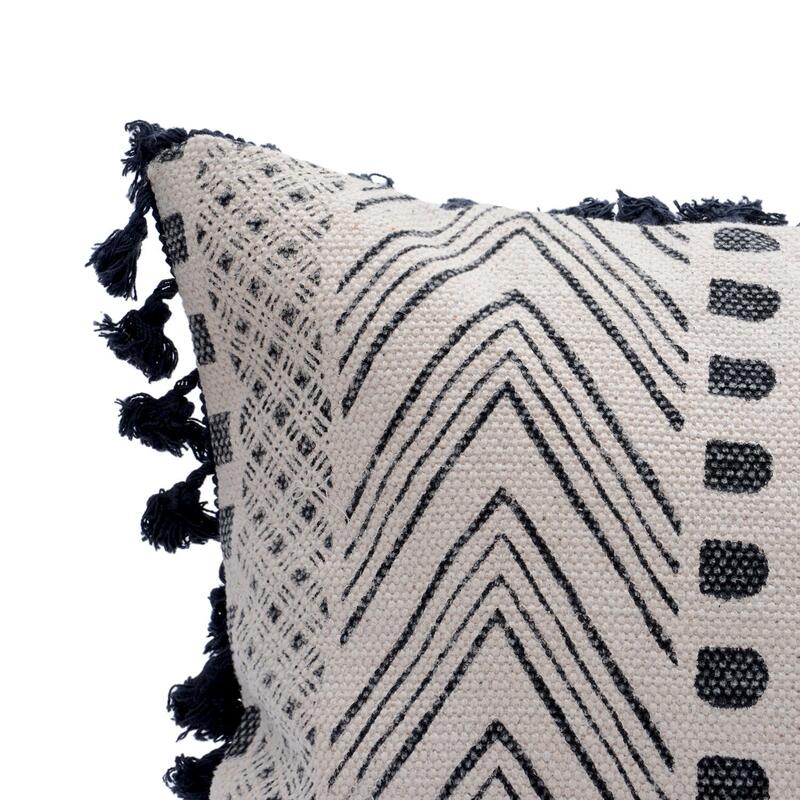 this pillow cover is an easy way to update your decorate and inject a modern and contemporary touch to your space.